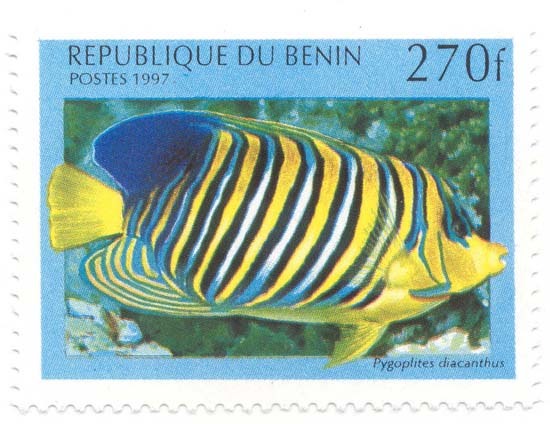 Article 174: Benin Tropical Fish These are beautiful tropical fish stamps. These were issued in 1997. Article 202: Benin Butterflies Benin issued a series of butterfly stamps in 1996. The issue includes a souvenir sheet. Article 210: Benin Whales and Dolphins Here are stamps from Benin depicting whales and dolphins.